The internet, Facebook, Twitter–they are all kind of funny things. On more than one instance, I’ve started talking to someone or thought I knew someone, only to realize that I don’t really “know” them. I only “know” them through Facebook. Or Twitter. Or from standing in line at the same educator conferences. Marty McGuire by Kate Messner was one of those purchases for me. I book it at Cover to Cover in early June because I recognized the author’s name and therefore assumed I had read lots by her. It wasn’t until I got home and read the About the Author blurb that I realized that while I had read something Kate Messner had written (The Brilliant Fall of Gianna Z.) and had another of her books in my classroom library (Fire and Ice), I actually recognized her name from her posts on Twitter. That did give me a little laugh. So Kate, even though we haven’t met at some fabulous autographing event, I think we are already friends and will greet you as such when we do finally meet. That aside, I’m really happy with Marty McGuire. She’s a great female main character-headed into third grade and not interested in dress-up or girly things like so many of her classmates. She had me with the first line, “That nice Mrs. Kramer lied to me about third grade.” and it just went up from there. Brian Floca’s illustrations also add a great touch to the book. Having had many Veronica Grace’s and Marty’s in my classes, it’s great to see Marty as the main character for a change. Readers will find this new series a nice change from Junie B. Jones, as Marty does not use baby language like Junie B. is prone to. I’m glad there was no pond close by our school playground or I know many a student who would have had to wear sweatpants from the nurse. I see this book as one that will fly off the elementary library shelves and be great in second, third, and fourth grade classrooms. Pick one up today! You can also enjoy listening to the first chapter on the author’s website (link above). Sarah over at ReadingZone wrote about her Harry Potter memories, which started for her as a high school student. Sigh. That made me feel a little old, yet my own first memory of Harry Potter is as crystal clear as if it was just last week. It was my fifth year of teaching fourth grade-1997. No surprise, I was already obsessed with filling my classroom with books that would help kids find the magic of reading. I was attending the Ohio State University’s Children’s Literature Conference that they held every year. The most fabulous conference that used to exist. Where I would go to get my fix of children’s authors and illustrators and get to talk non-stop to other people who loved children’s books as much as I did. I had a computer and a dial-up modem, but there was no KidLitosphere to meet like minded people. Reviews were from School Library Journal, Hornbook, or Publisher’s Weekly. Where I first met Sally Oddi from Cover to Cover. Where I heard Katherine Patterson give a keynote that was more inspirational than any church service I had ever attended. Ah…. In the bottom level of the Columbus Convention Center, a “book store” was set up for the duration of the conference. I was in a very long line with a huge stack of books to purchase when I overheard the women behind me discussing Harry Potter. One was asking the other if she had read Harry Potter yet and went on to explain about the ‘boy who lived’, his lightning scar, and his room under the stairs. As I eavesdropped unabashedly, my gaze swept the room for the book. There it was, a huge stack of Harry Potter and the Socerer’s Stone. I picked it up, started reading while I was in line, and was in love before the end of the first chapter. Sure I butchered Hermione’s name in my head, but who didn’t? I can’t even begin to guess the number of people who I would go on and on to about Harry Potter. Children, fellow teachers, adults, parents. You name it. 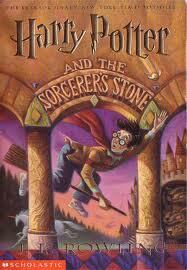 Starting with book two, Harry Potter and the Chamber of Secrets, and I was attending midnight release parties. I borrowed my friend Debbie’s two boys, Spencer and Tyler to a movie to “kill” time before the midnight premier. It was Chicken Run. Not a memorable movie, except that it preceded the release of Book Two. I could go on, but won’t too much more. I taught a Harry Potter class one summer for an enrichment camp. I remember being frustrated how quickly my students were tearing through Book Four and I didn’t have any time to read with a newborn at home. I couldn’t make myself start to read book seven, because I never wanted the series to end. Ah, Harry Potter, Ron Weasley, Herimone Granger and all the other characters, you created a magical world that so many of us love being a part of. Now I know I usually review new releases, but after reading Revolution by Jennifer Donnelly, I put her other books on my to-be-read list. Summer vacation finally allowed me to finish some of my to-be-read pile that have been sitting in for too long. Reading A Northern Light reminded me why I found Jennifer Donnelly to be so brilliant in Revolution. I’m still unhappy that Revolution (and Donnely) was not awarded the Printz award last year but am glad she received the honor for this book along with so many other accolades. 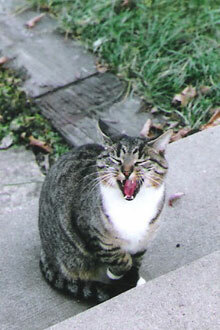 06, Mattie is the oldest daughter of a large farm family. With her mother recently deceased, the burden of running the farm with her father, falls on Mattie. Mattie dreams of finishing high school and getting to attend college in New York City. Her family’s precarious financial situation, as well as the reliance on her for meals, taking care of her siblings, and community expectations weigh heavily on Mattie in a way that makes her dream seem impossible. With the encouragement of a classmate, African-American Weaver, and a school teacher, Matty writes stories and poetry in any free moment she has, and practices for her placement exams with word duels. The story begins with an accident at the summer camp where Mattie is working and alternates between the “present” and chapters that introduce to Mattie’s background and life. Like Revolution, Donneley seamlessly transitions from the present to the past and back again. The murder of a young girl, her letters that she left with Mattie, her courtship by a young man who does not love her, her frustration of both gender and race, all play major roles in the book. I can not say enough good things about the book. As I read, I wondered if Donnely wrote the two parallel stories and then inner wove them, or if she drafted in the format the book is set in. I feel the need to write and her about find out. I have added Theodore Dreiser’s An American Tragedy to my to-read list since I understand that the backstory of the young woman who drowns and the young man who disappears, which is based on true events, also is the backdrop for that classic that I have never read. 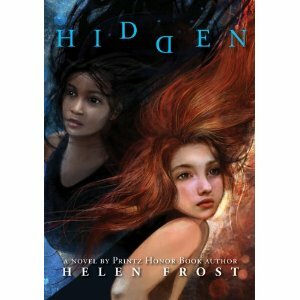 I first saw Hidden reviewed at The Reading Zone earlier this May. I picked it up when I was at Cover to Cover the weekend of the 48 hour book challenge soon after for my summer vacation reading list. When Wren and Darra meet in summer camp, they know each other instantly, even though they’ve never met. How could that possibly be? When the girls were eight, Darra’s father stole a car, not realizing Wren was in the back. 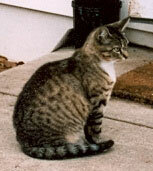 It was with Darra’s help that Wren managed to escape without her father knowing that he had “kidnapped” her. Free verse poetry tells the story in both Wren’s and Darra’s voice. First in Part One: The Way You Might Remember a Best Friend, we hear the story from Wren’s point of view. Part two: It’s All Her Fault is told from Darra’s viewpoint after the girls have “re-met” at camp. The third part, The Diving Raft, is told by both girls. The story is mesmerizing, and not in a “true crime” type of story. You feel for both girls and you see how they have both positive and negative feelings towards each other. Even the different parts are told with a different version of free verse poetry. You wouldn’t think an Endnote could give such a big thrill, but what the author reveals in Diving Deeper: Notes on Form, is remarkably unique and had me rereading the book again instantly. Set in a Michigan summer camp, the book also does a great job of capturing the magic of summer camp and the friendships that develop there. I love summer camp and we have a family favorite/regular in Michigan, but not the one in the book. Literate Lives has a review as well.